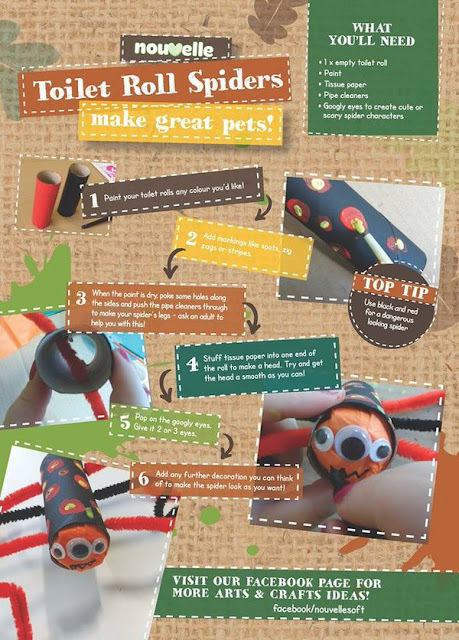 If you are very eagle-eyed, you may have spotted some of our craft efforts involving toilet rolls on Twitter and Pinterest. 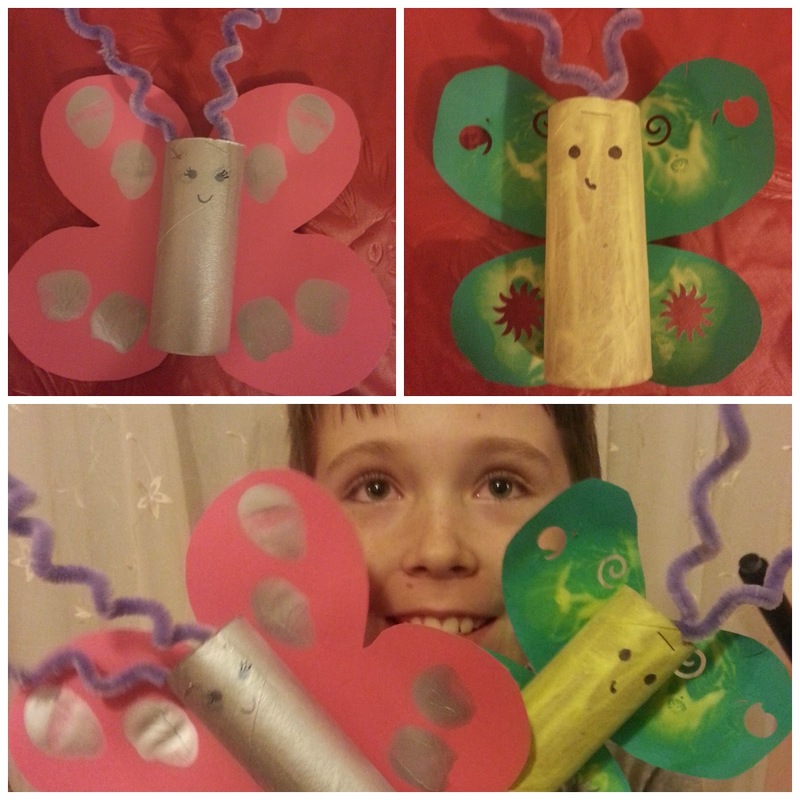 We love a good reuse and recycle craft project and have been working with Nouvelle over the last few months to create some really fun makes. I had no idea toilet rolls could be so versatile! 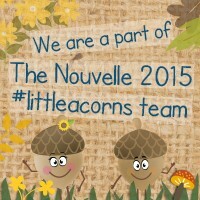 The @nouvellesoft #LittleAcorns project has almost come to an end, though, and I thought it would be nice to put all our projects together in one place, for those who don't follow on Social Media. If you would like to have a go at any of the projects, I have included the craft sheets as well. You can also find them on Facebook and Twitter, where there are lots of other examples of finished projects, to give you some more ideas. Mr Snake, enjoying the sunshine! 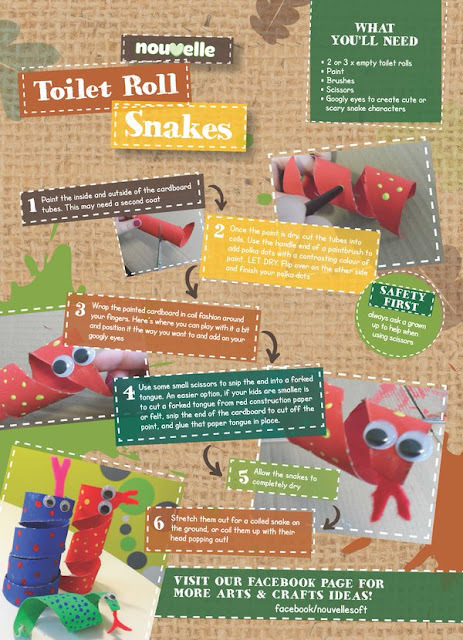 Our most recent project was this really clever toilet roll snake. 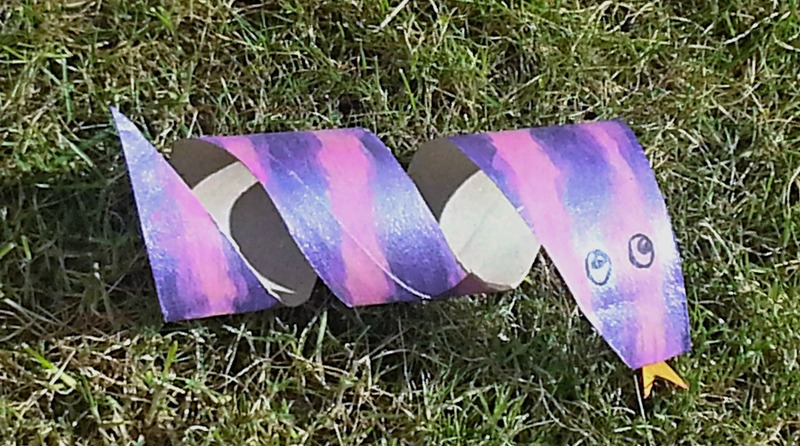 It was really fun cutting the spiral to make the wiggly effect. 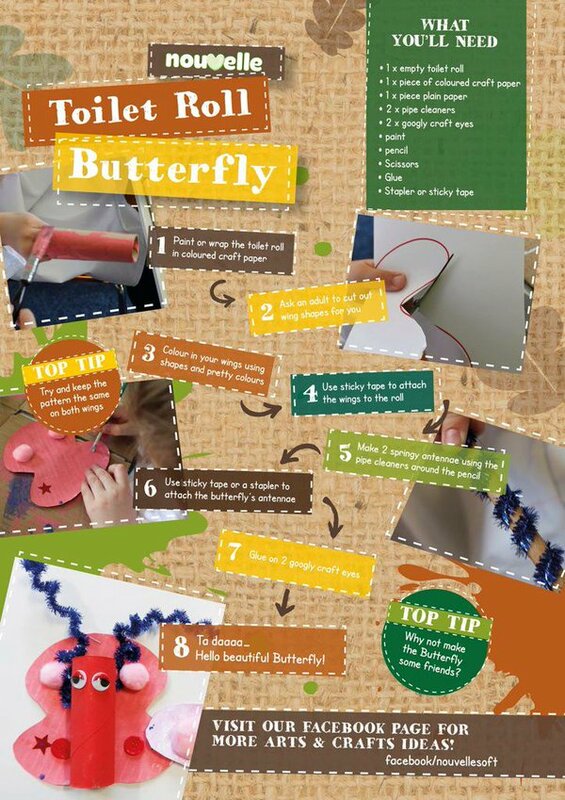 You could also make a worm, or anything else slithery, using the same method. 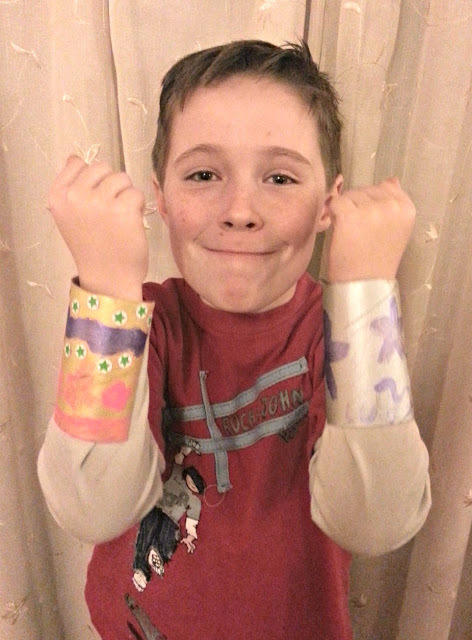 Last month, we made superhero cuffs, which gave lots of opportunity to stretch our imaginations and come up with our own designs. Here is L modelling his creations. 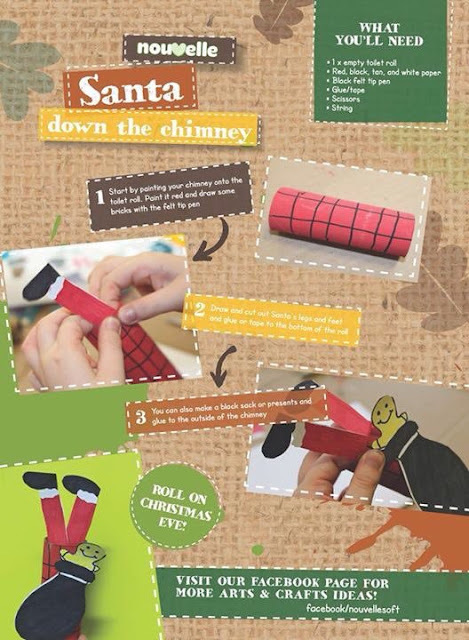 At Christmas we received our biggest challenge; Father Christmas disappearing down a chimney! 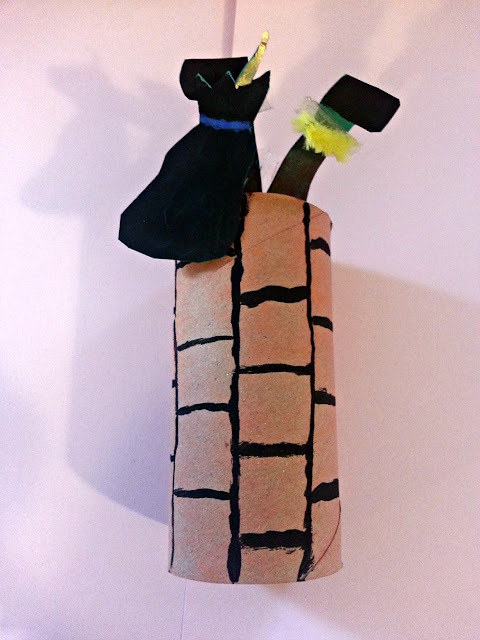 We only needed to show his feet, but, I did find postitioning the feet and present sack a bit tricky. The end result looked great though, and made a lovely Christmas decoration. 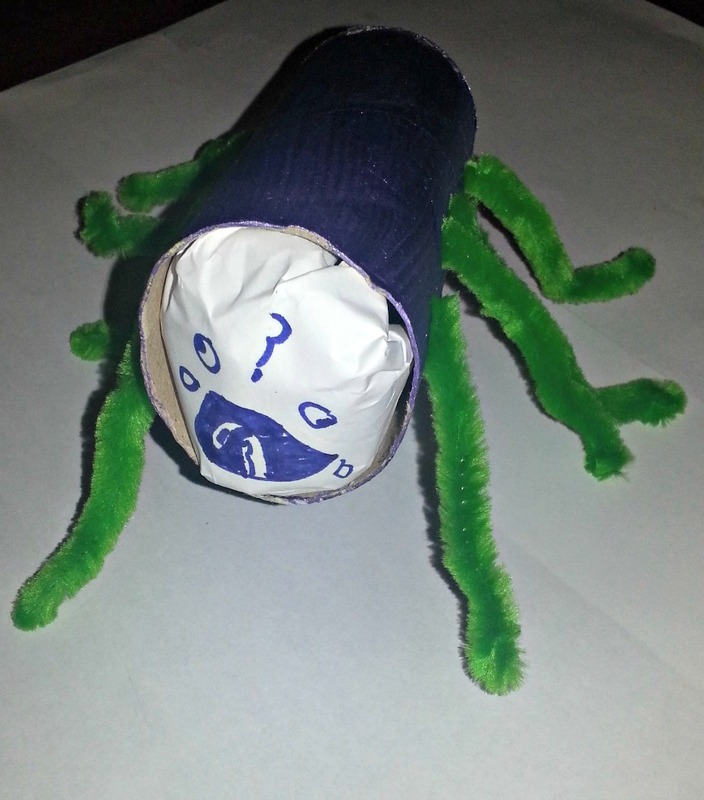 For Halloween, we made creepy spiders. 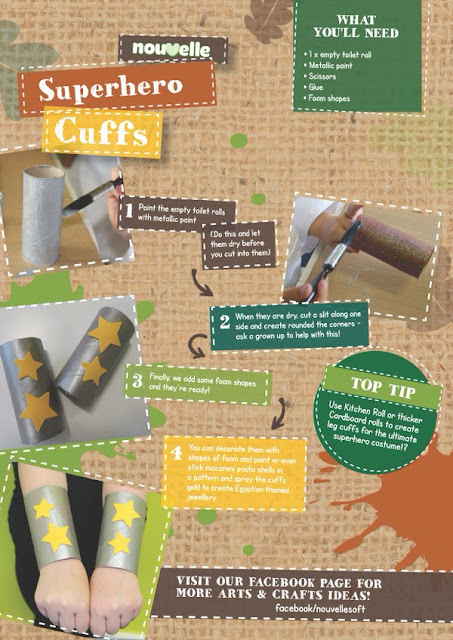 It's always a bonus to find easy and imaginative Halloween crafts and these were very straightforward, even for me! You could actually make these at any time of year if you wanted, Spiders aren't just creepy at Halloween! This spider can stay, he's not too scary! The octopus craft was very clever and one to remember if you ever need to make an octopus or squid. 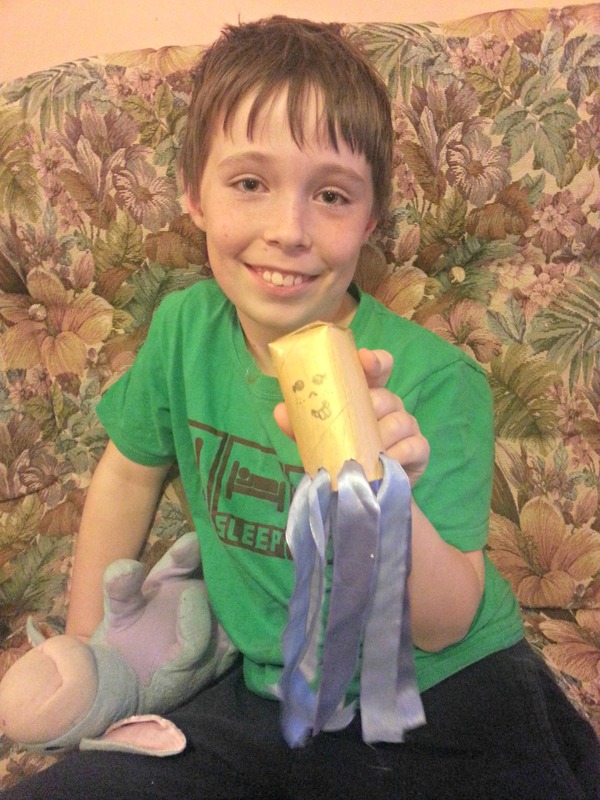 You could use wool or pipe cleaners for the tentacles, but we used ribbons, to make them a bit wider. Our first task is still my favourite. It seems like a long time ago now and L even looks quite a bit younger! We made butterflies, using pipe cleaners and painted card and the results were pretty good! 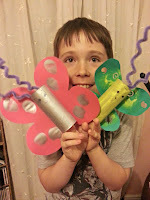 These things had butter fly! Nouvelle have always had a strong commitment to the enviroment. Their products are recycled and they are part of a group of companies who work hard to reduce their environmental impact during the manufacturing process. 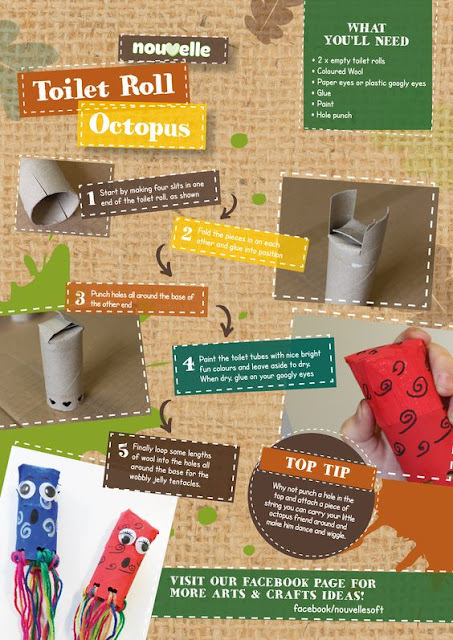 They also work with schools to plant more trees and use their twitter and instagram feeds to come up with different ideas for recycling their rolls. We've really enjoyed being part of this project and hope we've provided some inspiration for your empties too!